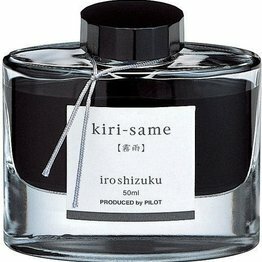 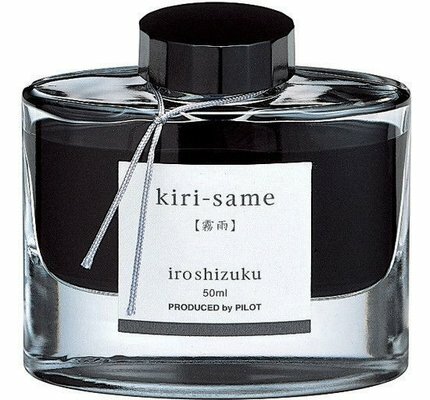 Pilot Iroshizuku Scotch Mist (Kiri-same) fountain pen ink available in a 50ml glass bottle. 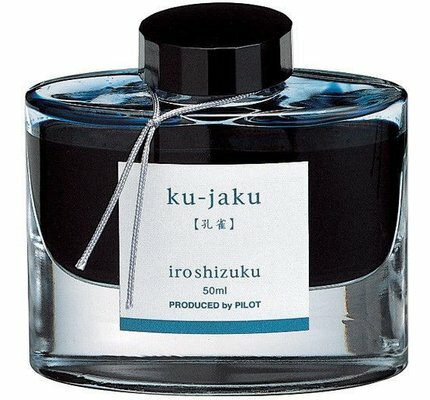 Pilot Iroshizuku Peacock (Ku-jaku) fountain pen ink available in a 50ml glass bottle. 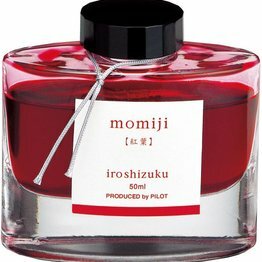 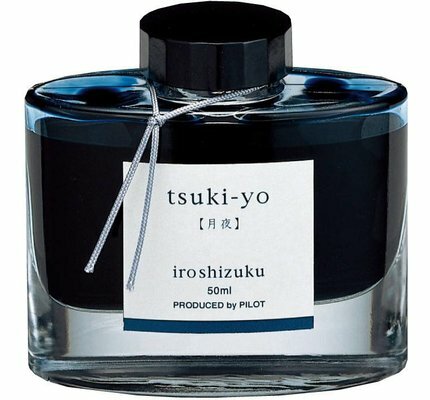 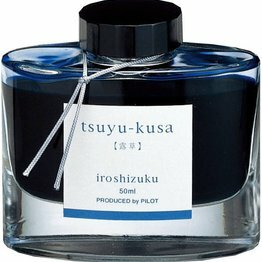 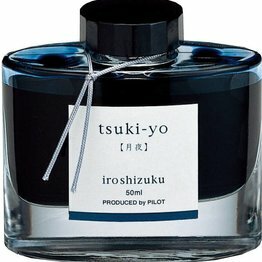 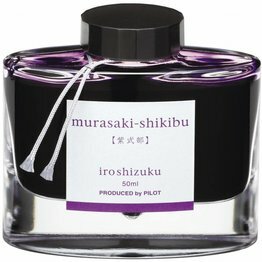 Pilot Iroshizuku Moonlight (Tsuki-yo) fountain pen ink available in a 50ml glass bottle. 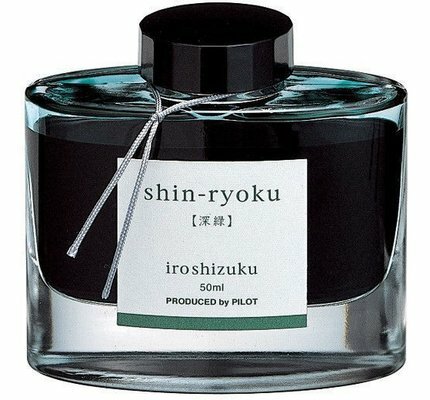 Pilot Iroshizuku Dew on Pine Tree (Syo-ro) fountain pen ink available in a 50ml glass bottle. 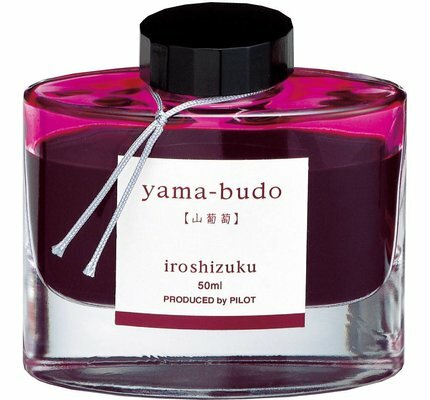 Pilot Iroshizuku Crimson Glory Vine (Yama-budo) fountain pen ink available in a 50ml glass bottle. 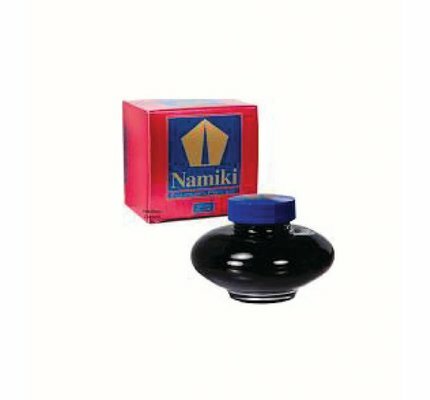 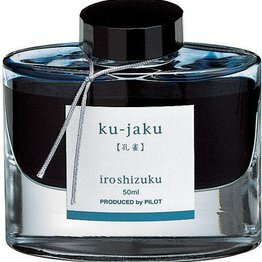 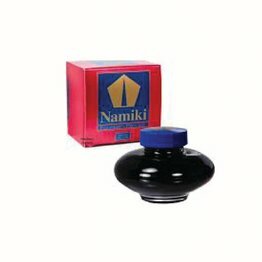 Pilot Iroshizuku Bamboo Charcoal (Take-sumi) fountain pen ink available in a 50ml glass bottle. 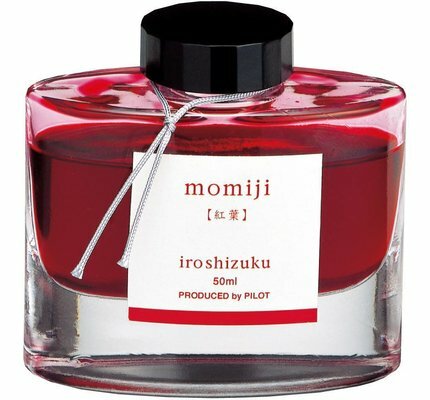 Pilot Iroshizuku Autumn Leaves (Momiji) fountain pen ink available in a 50ml glass bottle. 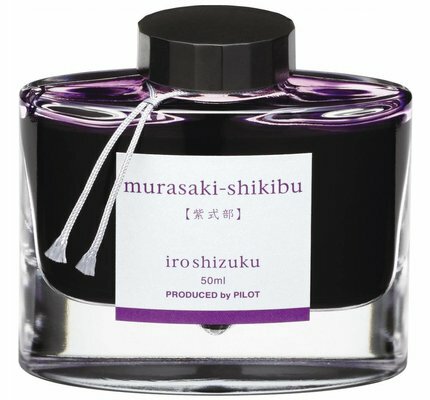 Murasaki Shikibu grows wild throughtout Japan, adorned with purple-colored berries.This purple matches the shade of the rich Murasaki Shikibu berries. 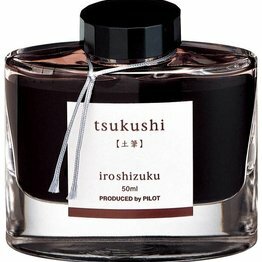 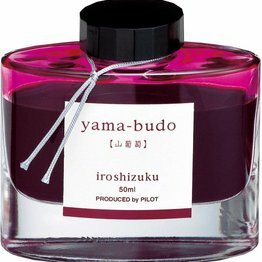 Pilot Iroshizuku Wild Chestnut (Yama-guri) fountain pen ink available in a 50ml glass bottle. 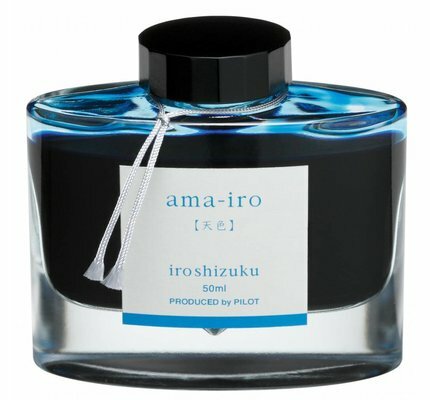 Pilot Iroshizuku Sky Blue (Ama-iro) fountain pen ink available in a 50ml glass bottle. 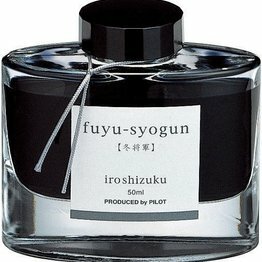 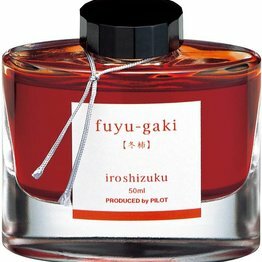 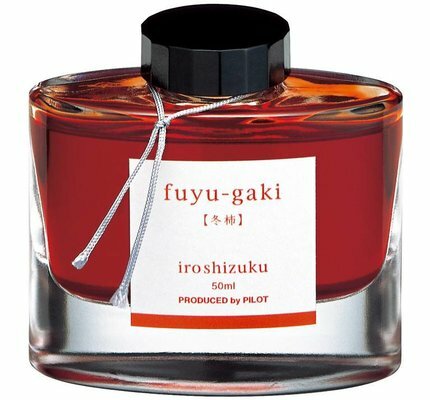 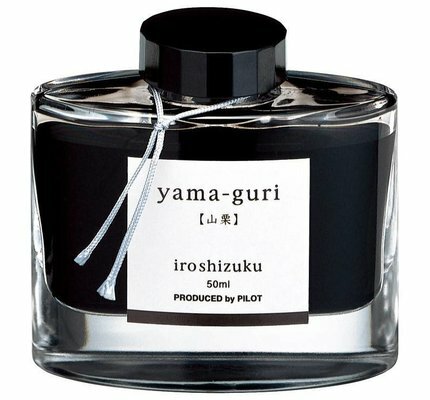 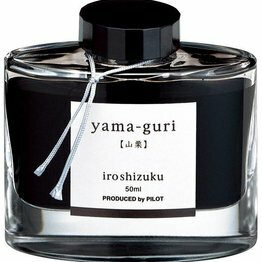 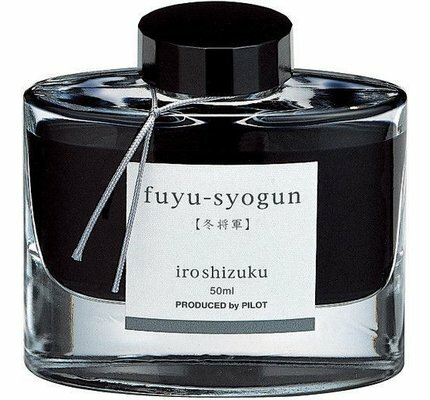 Pilot Iroshizuku Rigor of Winter (Fuyu-syogun) fountain pen ink available in a 50ml glass bottle. 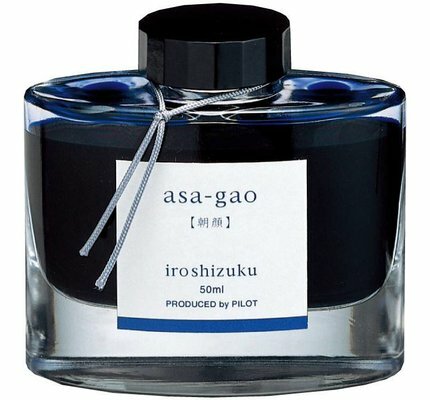 Pilot Iroshizuku Morning Glory (Asa-gao) fountain pen ink available in a 50ml glass bottle. Pilot Iroshizuku Hydrangea (Ajisai) fountain pen ink available in a 50ml glass bottle. 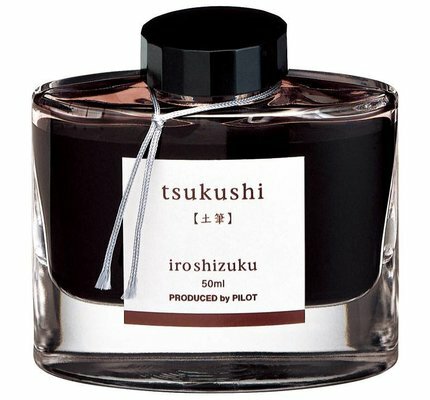 Pilot Iroshizuku Horsetail (Tsukushi) fountain pen ink available in a 50ml glass bottle. 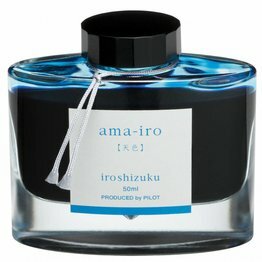 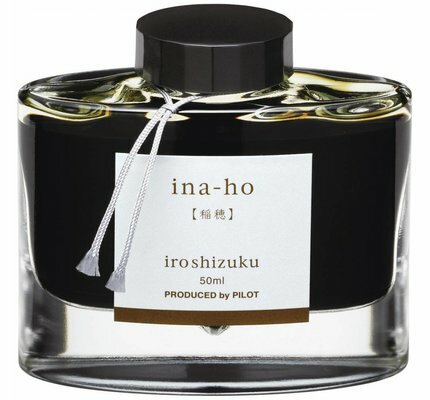 Pilot Iroshizuku Grain of Rice (Ina-ho) fountain pen ink available in a 50ml glass bottle. 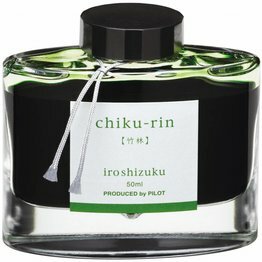 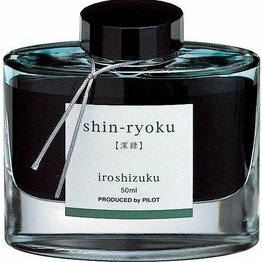 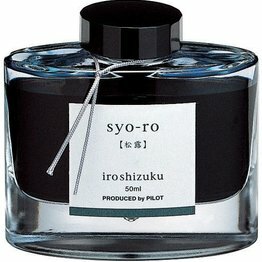 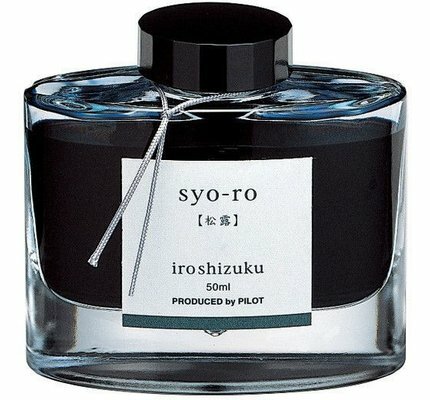 Pilot Iroshizuku Forest Green (Shin-ryoku) fountain pen ink available in a 50ml glass bottle. 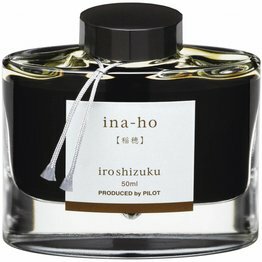 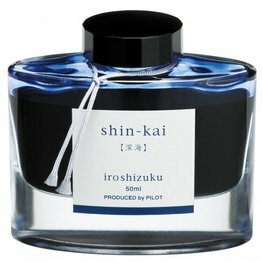 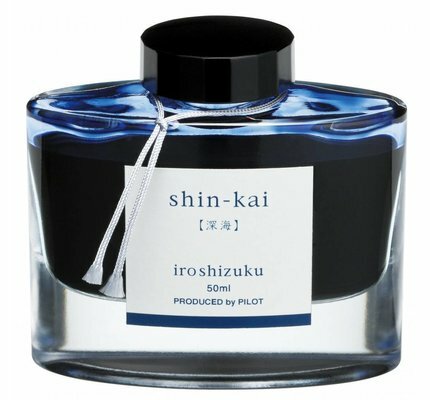 Pilot Iroshizuku Deep Sea (Shin-kai) fountain pen ink available in a 50ml glass bottle. 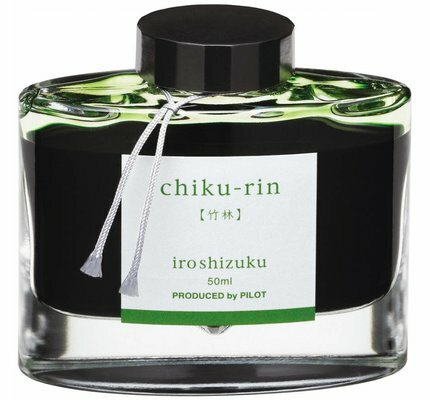 Pilot Iroshizuku Bamboo Forest (Chiku-rin) fountain pen ink available in a 50ml glass bottle. 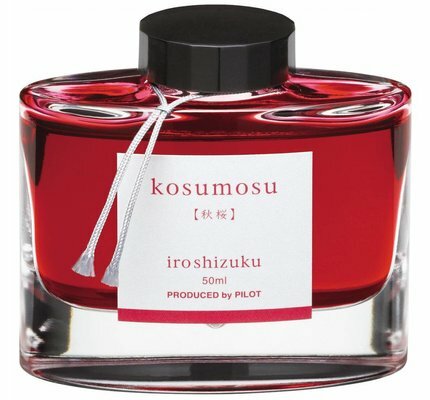 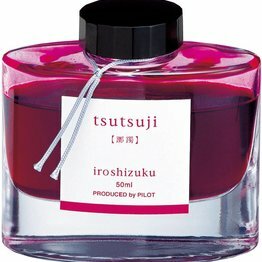 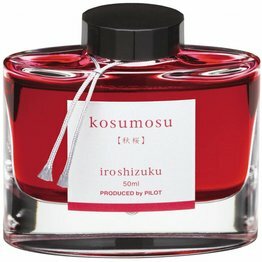 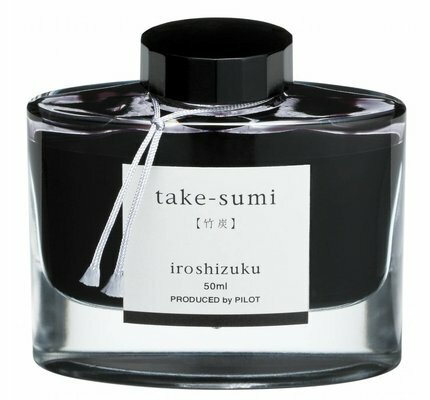 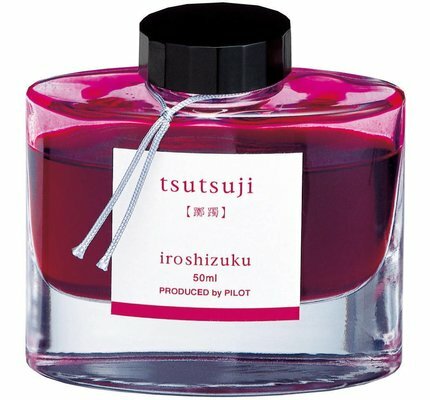 Pilot Iroshizuku Azalea (Tsutsuji) fountain pen ink available in a 50ml glass bottle. 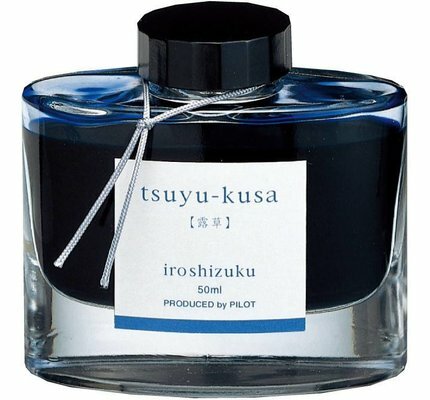 Pilot Iroshizuku Asiatic Dayflower (Tsuyu-kusa) fountain pen ink available in a 50ml glass bottle.